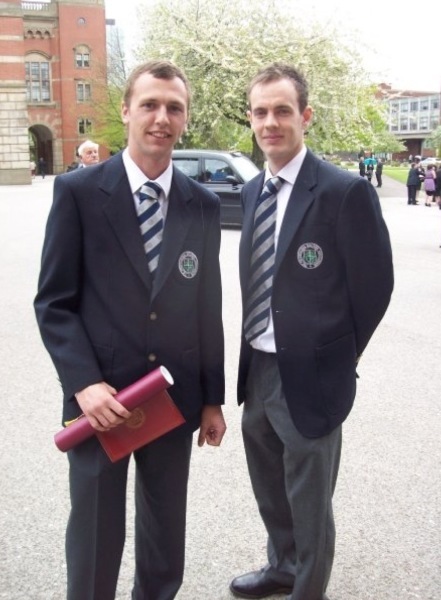 Danny Malcolm graduated on the 1st of May as a PGA Professional Golfer at the Birmingham University. He was also ranked third out of three hundred fellow professionals over the three year course after being named 'Rookie of the Year' in 2007. 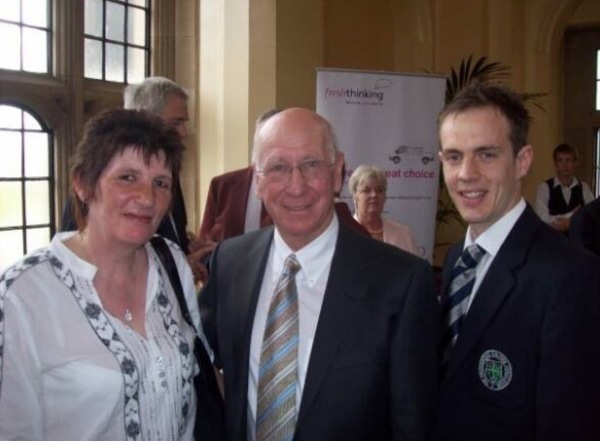 His award was presented by Sir Bobby Charlton. Danny is aiming to be the country's youngest director of golf - just a year after finishing his PGA foundation degree. The 24-year-old professional, who served his three-year apprenticeship at the Springwater Golf Club before recently moving to Newark Golf Club, revealed his grand plans after finishing third in the prestigious Titleist PGA Assistant of the Year awards. 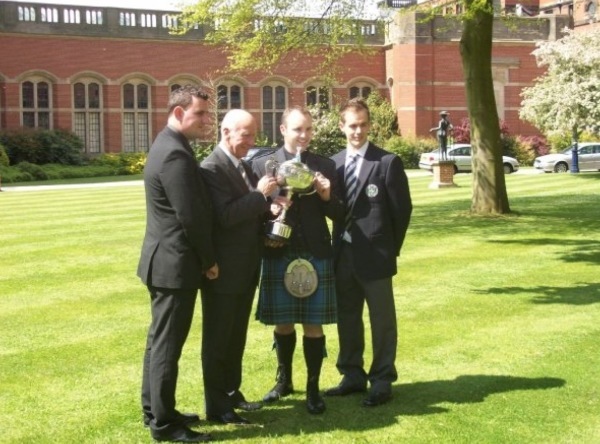 Malcolm, who was 'Rookie of the Year' in 2007 after turning to golf, having seen his dreams of a football career ended by injury, collected a cheque for £1,500 from England football legend Sir Bobby Charlton at the PGA's graduation ceremony at the University of Birmingham. "I've realised that this is the path I want to go down as the golf profession is changing," said Malcolm. "When I first started it was all about wanting to play competitively but I've realised how tough that can be as I know lads who are really good players but just finding it tough to break through." ​Having completed his three-year PGA foundation degree, Malcolm is now eyeing a fast-track to the top, which he has started by taking over the management of the club shop at Newark. 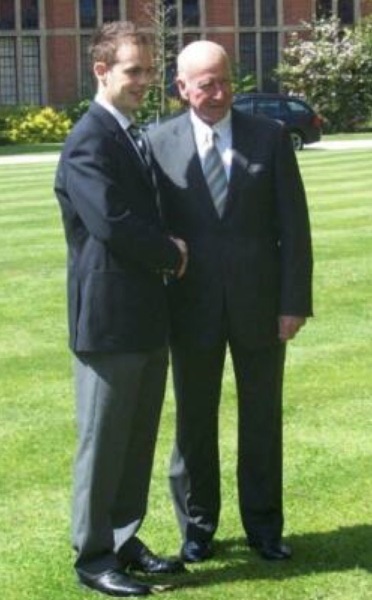 But he is also keen to take the PGA's Director of Golf course, which predominantly focuses on the business and management side of the golf industry. "I've come to Newark and taken charge of running the shop as I want to progress to being a Director of Golf by the time I'm 30," he said. "Coming here is the first step as I oversee the business from both a stock and staff point of view. It's a very in-depth role with a lot of interaction with the members too. Without doubt, what I've learned from the three years of the foundation degree is coming to the fore here. But what I've achieved has also played a part in my career already because I'm sure finishing third this year and having the 'Rookie of the Year' on my CV has helped me get this job."